Written in the 6th century BC, Sun Tzu's The Art of War is a Chinese military treatise that is still revered today as the ultimate commentary on war and military strategy. Focussing on the principle that one can outsmart your foe mentally by thinking very carefully about strategy before resorting to physical battle, this philosophy continues to be applied to the corporate and business world. 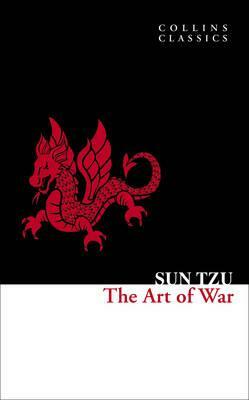 Sun Tzu's timeless appraisal of the different aspects of warfare are laid out in 13 chapters, including sections on `Laying Plans', `Waging War' and `Terrain'. Words that are as resonant today in every aspect of our lives as they were when he wrote them. Sun Tsu, um 544 um 496 v. Chr., war ein chinesischer General, Militärstratege und Philosoph. Bekannt ist er durch sein Werk "Die Kunst des Krieges", welches das früheste Buch über Strategie überhaupt und auch heute noch einer der Klassiker auf diesem Gebiet ist.